Team Seattle to Race in the Rolex 24 Hours of Daytona - Global Diving & Salvage, Inc. The Team Seattle Guild was founded in 1997 by professional race car driver Don Kitch and his wife, Donna, to prepare to race in the 1997 Rolex 24 Hours of Daytona endurance race. The Kitch’s invited other race car drivers and racing enthusiasts and launched a pledge campaign for each lap the team completed in the 24-hour race. The first race resulted in $80,000 for Children’s. The team’s continued participation in the annual race has been one of the top fundraising events for Children’s Hospital. Over its 15-year history, Team Seattle has placed first and second twice and raised over $3.5 million dollars for Children’s Heart Center. In 2009 Team Seattle was invited to the 24 hours at Le Mans. The team finished in a respectable 9th place. 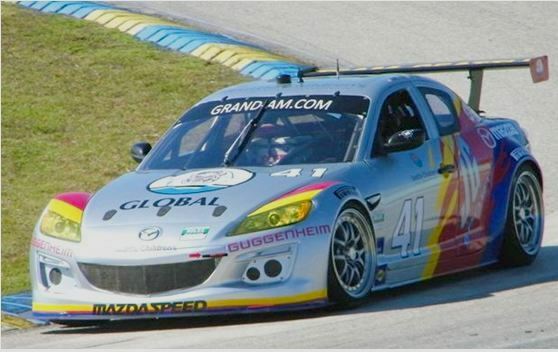 JG Sport was formed shortly after which allowed the Team Seattle to participate in the entire 2010 GRAND-AM Rolex Series of races. The Team had several podium finishes through the inaugural season with the highlight coming in Watkins Glen where drivers Lee Keen and James Gué brought the Team their first victory. The 2011 season offers greater promise with new driver Dane Cameron. The season gets kicked off in January, at their 14th running at the 24 Hours of Daytona.